A ribbon-cutting ceremony 12 years in the making is set to take place May 8 at a new sports center on Mountain View Drive. 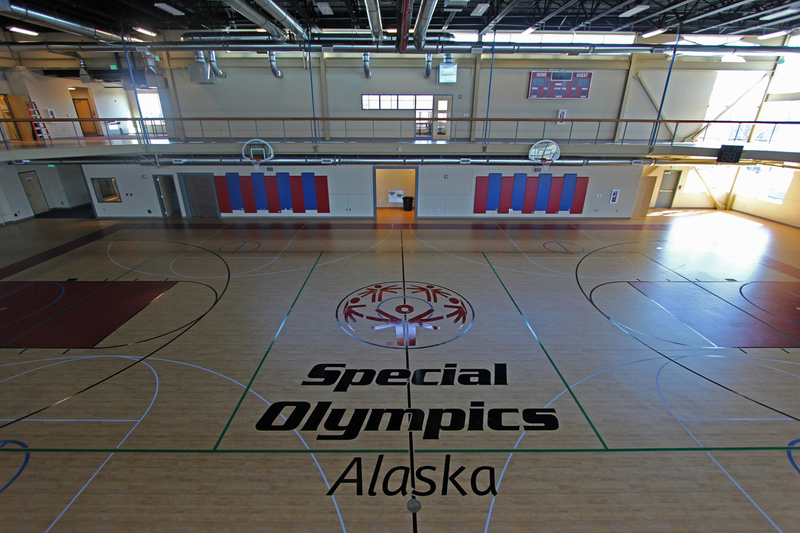 The Special Olympics Alaska Sports, Health and Wellness Center was designed to cater to athletes, coaches and volunteers from around the state, and the nonprofit’s president said the neighborhood in northeast Anchorage was the perfect place to build. 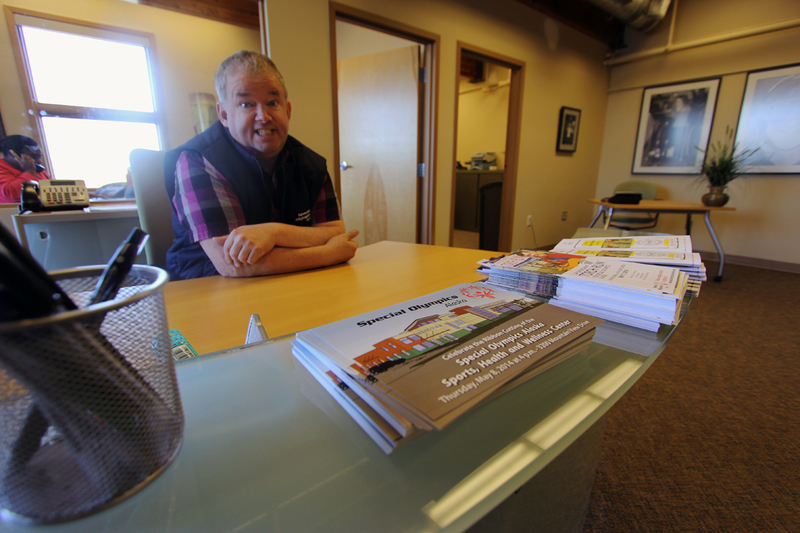 “We went all over the city looking for property, but Mountain View fit us the best,” said Jim Balamaci, who’s been part of Special Olympics Alaska for more than 20 years. The expansion project at the Special Olympics campus more than doubled the size of the initial building. There’s everything from a basketball court and indoor track to locker rooms, a conference room and commercial-size kitchen (for teaching life skills to athletes, Balamaci said). There’s also vacant land left on the property to build outdoor facilities. Joe Pichler, a Special Olympics employee tasked with overseeing the reception area, said the May 8 ribbon cutting was a long time in the making. “Jim had this idea, and it’s happening,” he said Tuesday. Pichler is a former athlete who said he’s been involved with Special Olympics since he was 7. His love for sports still runs strong — the business card he dug out of his card case identified him as the vice president of the Seahawks Midnight Sun Booster Club. He said he began working for Special Olympics about four weeks ago, and staff have been busy preparing for the May event. The new building represents a big change for both the organization and the neighborhood. 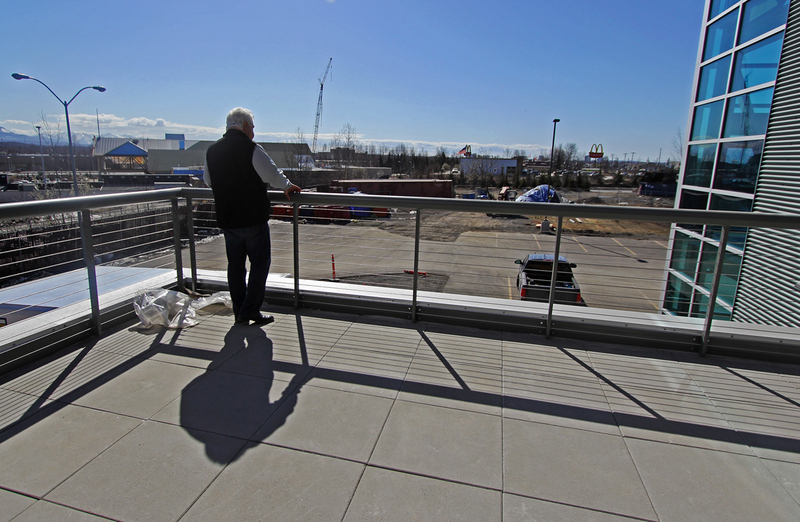 A longtime Alaskan, Pichler said he remembers what Mountain View looked like decades ago. He said the new Special Olympics center, with its floor-to-ceiling windows and modern architecture, is a major upgrade. Balamaci said the idea for the Mountain View campus gained momentum after Special Olympics Alaska played host to the World Games in 2001. More than 1,800 athletes from around the globe descended on Anchorage for the weeklong event, and lawmakers and community leaders alike began to see the value in a facility dedicated to serving Alaskans with disabilities. “I always ask, ‘Why can’t our athletes have uniforms? Why can’t they have gym time that’s not 6 o’clock on a Sunday morning? '” Balamaci said. Over the next decade, plans came together and gathered steam. Balamaci said once they settled on a location, the property was designed to fit the local landscape. The front corner of the building features giant windows overlooking the drive outside. The Special Olympics president said the glass is specifically intended to show off the activities inside as well as the neighborhood outside. “People need to see what it’s like to be in Mountain View,” he said. 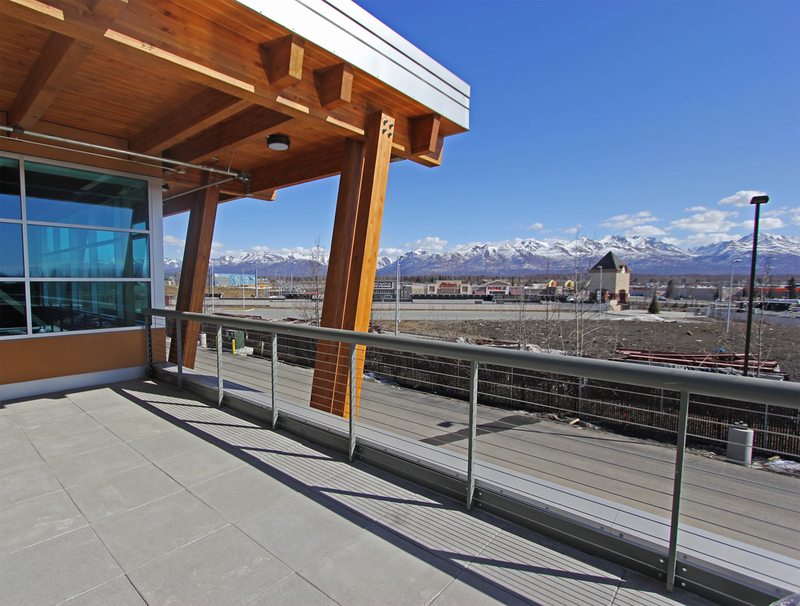 On the back of the building, a second-floor deck has sweeping views of Clark Middle School, Glenn Square and the Chugach range. It’s attached to a well-lit conference room with mountain views, and Balamaci said the facility aimed to attract people to the neighborhood. The Governor’s Council on Disabilities and Special Education is set to meet at the Special Olympics center this week. Balamaci said the building began hosting its first athletic programs about two weeks ago. Not only will the campus serve thousands of athletes and volunteers from around the state, Balamaci said it would help continue to grow the neighborhood around it. And it was the neighborhood, he said, that made the center possible. More than $7 million in state capital funds were approved for the project over the past few years, and Balamaci said it took support from lawmakers on both sides of the aisle. He said community leaders and neighborhood businesses helped his organization acquire the lots on which to build, and the welcome Special Olympics received there was unlike any other. “There’s not a better place in the world to be than Mountain View,” Balamaci said. The ribbon-cutting ceremony is set to take place May 8 at 4 p.m. at the campus on 3200 Mountain View Drive.